Harris closes $525M buyout of CapRock. Ubiquitous satellite communications around the world and satellite optimization helps satellites deliver data and constant wideband communications where wimax can’t go. Dish to file complaint with U.S. regulators against Comcast Corp for blocking Philadelphia professional sports sports telecasts from the satellite operator. Russian Space Systems delivers the first of three Glonass-M satellites to the Baikonur Cosmodrome in Kazakhstan. KT Corp. and Asia Broadcast Satellite sign multi-year deal for multiple C and Ku-band transponders on ABS satellites. C-Com receives iNetVu order worth $2.2M from unnamed reseller in Asia. Viasat selects Cavium Networks multi-core OCTEON Plus processors to power its next generation satellite broadband modems. Quantum encrypted communications by satellite has not been possible because of importance of knowing "up" from "down", which changes over time from a satellite’s perspective; new development brings quantum communications by satellite closer. Euroconsult announces that despite limited market slowdown, the fixed satellite market reached a new high in revenues last year. TCS receives additional $1M funding secured from Army to support equipment and maintenance of Secret Internet Protocol Router and Non-secure Access Point (SNAP) VSAT satellite systems. Cobham’s Sea Tel 3-axis stabilized marine antenna ensures always-on VSAT performance by isolating antenna from ship’s motion regardless of how rough the weather and seas, with satellite tracking motion rate as fast as 90 degrees per second. Harbinger’s LightSquared (incorporating satellite company SkyTerra Communications) is scheduled to begin 4G wireless rollout in trial markets in Denver, Baltimore, Las Vegas, and Phoenix next year. SES ASTRA furthers its cooperation with Spanish pay-TV operator Sogecable, providing two additional satellite transponders at its prime orbital position of 19.2 degrees East. NSR annual review of wireless backhaul via satellite market shows industry made tremendous gains from blistering pace of wireless subscriber growth in 2009 and first half of 2010. United Space Alliance announces it will layoff about 15 percent of its current Space Shuttle workforce. Harris is awarded contract to build NASA’s Crew, Robotics, Avionics, and Vehicle Equipment program as part of indefinite delivery/indefinite quantity NASA contract with ceiling value of $70M. United Launch Alliance ramps up for Atlas V launch of Advanced Extremely High Frequency-1 (AEHF-1) satellite for Air Force currently scheduled for August 12 from Cape Canaveral. Final integration of NILESAT 201 and RASCOM-QAF1R on Airane 5 to take place as preparations continue for the fourth Ariane 5 launch of the year. Huge European Space Agency satellite Envisat (17,636 pounds), characterized as huge success with life now extended until 2013 and and records set, may become the most dangerous piece of space debris orbiting the Earth for the next 150 years. Government satellite programs expected to boost full-year profit for industry leader Lockheed, while L3 expects profit to decline with loss of a logistics contract. Sea Launch signs agreement with a subsidiary of EchoStar to provide the ability to launch up to three satellites on the Sea Launch system. Entropic Communications Channel Stacking Switch technology to be incorporated in Microelectronics Technology Inc LNB design for deployments in Italian satellite operator market. Tiscali, of Italy, and Eutelsat sign agreement allowing Tiscali to expand its range of broadband products with the launch of a satellite service targeting homes across Italy beyond range of terrestrial broadband services. World’s first successful launch of a geostationary satellite, Syncom 2, took place at Cape Canaveral 47 years ago July 26. Air Force HDRAT satellite communications system will use commercial KU-band, commercial Ka-band, WGS Ka-band, WGS X-band, and commercial X-band satellites to send UAV Globalhawk data to ground forces. Orbit Technologies receives unprecedented NIS 74M follow-on order believed to be from the Indian Navy, just a week after receiving an initial NIS 23M order for delivery of marine broadband satellite systems. Interesting craft project by Violetta, via Cut Out + Keep. Telecommunications Systems is issued U.S. patent on secure satellite communications over satellite phone network. Orbital Sciences is hurt by failure of Galaxy 15 and NASA Orion cancellation, even as it reports 25 percent increase in second quarter revenues over 2009. BFI changes name to Encompass Digital Media, uniting BFI’s Andrita Media Center and Crawford Communications, acquired by BFI in January. Hiltron Communcations wins contract from German broadcast integrator Wellen & Noethen to provide satellite receive system as part of a large IPTV head-end installation. Telenor revenues increase 6.1% in second quarter, driven by HDTV growth. Astrium creates subsidiary Spot Infoterra Hellas to provide geo-information products and services in Greece. U.S. Army selects ViaSat as winner of Blue Force Tracking 2 program contract, awarding it a $477M contract. Boeing discovers technical glitch that delays launch of SkyTerra-1 launch for newly named LightSquared. Italian satellite broadcaster Sky Italia receives permission from European Commision to bid on digital free-to-air (FTA) frequencies in Italy. Hughes is contracted by natural gas company Black Elk Energy to provide maritime broadband solution. Fox seeks second digital satellite broadcast license in Japan, to use for National Geographic channel. Surrey Satellite Technolgy starts building small satellite for Republic of Kazakhstan. Boeing is hired by Iridium as the exclusive operations and maintenance provider for its next-generation satellite constellation, continue to operate its current satellite network, and oversee the transition from one to the next. Astrium is selected by the Science and Technology Facilities Council to develop an Earth Observation Hub at the new International Space Innovation Center in Harwell, Oxfordshire, U.K.
Globecomm Systems subsidiary Cachendo secures one-year contract to provide IT support services to the U.S. Agency for International Development. Arabsat-5A and BADR-5 satellites are handed over to Arabsat by Astrium and Thales Alenia Space as part of in-orbit delivery contract, and enter commercial service. 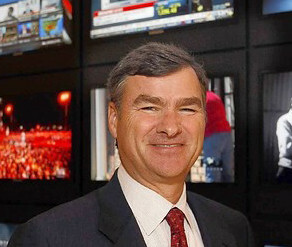 Coming to DirecTV after 20 years at PepsiCo, new Chief Executive learns satellite TV business from the top down while facing challenges of the internet and a possible Comcast-NBC Universal merger. VIH Helicopters, formerly Vancouver Island Helicopters, will equip its diverse fleet of Sikorsky, Kamov, Eurocopter, and Bell helicopters with SkyTrac’s next generation ISAT-200 system. FCC changes definition of broadband Internet to 4 Mbps download speed and 1 Mbps upload speed, meaning roughly 24 million people do not have access to traditional broadband Internet – but some 7 million of those are within range of satellite networks. SES ASTRA signs agreement with Hungarian IT services provider RG Networks to market its satellite-based broadband service ASTRA2Connect to business and private customers in Hungary. LightSquared, the former SkyTerra, signs 7-year, $1.2B deal with Nokia Siemens to build, operate, and maintain a 4G LTE network using combinaton satellite and cell phone network to provide data services. German manufacturer OHB Technology acquired Thales Alenia Space Antwerp in Belgium from Thales Alenia Space France. OnAir to install SwiftBroadband service on Emirates’ entire A380 aircraft fleet. Cisco’s IRIS space-router technology passes U.S. Department of Defense satellite-orbit test for use of next-generation satellite based IP services and communications from space. Harris is awarded $130M contract to provide ground antenna system for National oceanic and Atmospheric Administration program that will enable receipt and processing of weather data 40 times faster than today. BT is upgrading its EMEA satellite network infrastructure to iDirect’s Evolution platform, allowing more efficient operations of its satellite network for finance, oil and gas, and government customers. Globalstar is encouraged by FCC proceedings to make wireless spectrum available for mobile broadband networks using mobile satellite services spectrum. Globecomm Systems announces signing of $8.7M contract to provide mobile and fixed Ka band systems for unnamed Asia Pacific government customer. Astrium Services subsidiary Paradigm Secure Communications of Britain to test Cisco internet router (IRIS) aboard Intelsat 14. First Korean geostationary Communication, Ocean, and Meteorogical (COMS) satellite begins trial operation. FCC moves to open way for satellite companies’ mobile frequency spectrum to be used by networks that rely on ground-based towers rather than requiring that customers’ handsets be able to communicate with satellites. Eutelsat and ictQATAR select Space Systems/Loral to build joint venture high performance satellite. SES WORLD SKIES signs long-term capacity agreement to deliver the Hope Channel to audiences across the Pacific basin. Japanese government tries to help Japanese satellite manufacturers win contracts in emerging markets long dominated by U.S.and European companies. TeleCommunication Systems wins $6.1M worldwide satellite systems order from U.S. Army under the Army’s $5B WWSS Indefinite Delivery Indefinite Quantity contract vehicle supporting the Warfighter Information Network. Custom command access satellite network for Yahsat to be launched by CapRock. Globalstar moves headquarters to Louisiana; expected to create hundreds of new jobs there. NASA’s first data-relay satellite, TDRS 1, to be retired after 27 years. Cartosat-2B, remote-sensing satellite successfully launched by India’s Polar Satellite Launch Vehicle, expected to become operational in a week. EXPLORER 325, new entry-level ‘on -the-move’ BGAN terminal from Thrane & Thrane, receives Inmarsat Type Approval. Gilat Satellite Networks is selected to provide broadband satellite networks for homeland security applications in Asia. U.S. Army funds another $25.4M procurement of SNAP deployable satellite systems and maintenance from TeleCommunications Systems. Sea Launch signs a launch agreement with AsiaSat for launch of a geosynchronous satellite. Research and Markets offers new book "Satellite Communications Systems, Techniques and Technology, 5th Edition," published by John Wiley and Sons, covering entire field of satellite communications engineering. Indian Space Research Organisation (ISRO) launches five satellites aboard polar satellite launch vehicle including student picosat weighing less than 1 kg. Russian Proton-M rocket with Briz-M booster carries EchoStar 15 aloft in 200th launch from Baikonur launch pad. India is losing satellites due to failure of imported components, including recent partial failure of INSAT-4B, and previous failures of Chandrayaan in 2009 and INSAT-2D in 1997. 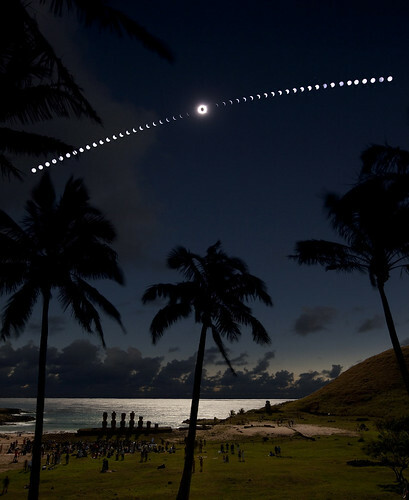 As the New Moon’s shadow slid across the southern Pacific on July 11, people gathered along the white, sandy Anakena Beach on the north side of Easter Island to watch a total solar eclipse. The experience was captured in this tantalizing composite image, constructed from a sequence of 50 consecutive exposures. 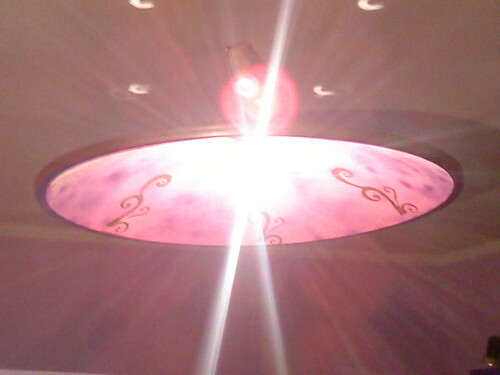 At their center is the totally eclipsed Sun surrounded by a shimmering solar corona. From the well chosen viewpoint, palm trees appear in silhouette against a darkened sky and the faint light reflected in the water. Of course, towering above the onlookers, at the boundaries of land, ocean, and sky are Moai, the island’s mysterious monolithic statues. GSA releases final request for proposals for $5B contract that will enable civilian and defense agencies to purchase much needed commercial satellite communications. Comtech Telecommunications receives $22.2M order under IDIQ contract with U.S. Army to provide mobile satellite data communications transceivers. 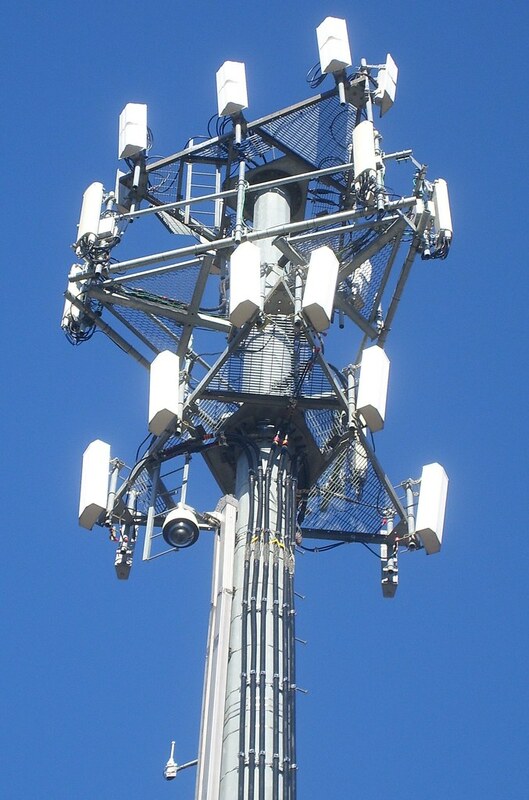 Globecomm Systems expands wireless managed services to the Caribbean. Komatsu Ltd. enters multi-year agreement with ORBCOMM Inc. continuing use of wireless data services for heavy equipment telematics applications. Newtec Azimuth modulators employed by Overon as it deploys 15 DSNG and flyaway stations in South Africa and two fixed fully redundant C-band stations in Johannesburg. Harris Corporation receives orders totaling $99M to supply C4I systems to a military customer in Asia. SES ASTRA signs agreement with Netherlands-based Dance TV HD to deliver its program to HD bouquets throughout Europe. Frustrating Zombie satellite – Galaxy 15 adrift without control – approaches two more spacecraft this month as it drifts along a stable and predictable path. Thuraya’s XT satellite phone employs highest codec rate to ensure highest audio quality. Talia, a major supplier of satellite Internet wor Africa, the Middle East, and Europe, announces successful launch of Arabsat’s newest satellite, Arabsat 5A, on July 2nd. NASA’s twin Solar Terrestrial Relations Observatory spacecraft allow Naval Research Laboratory scientists to see April 3 coronal mass ejection from sun that could be related to failure of Galaxy 15 control communications. RigNet enters into multi-year contract with Seahawk Drilling, a drilling services company in the Gulf of Mexico, to provide managed remote communications connecting Seahawk’s fleet to its Houston headquarters. AST Australia is awarded long-term contract to supply the two-year old Clough/Helix Joint Venture’s Normand Clough a complete maritime communication solution. Harmonic encoders and decoders deployed by South African Broadcasting Corporation to facilitate live broadcast of the 2010 FIFA World Cup from 10 South Africa stadiums. 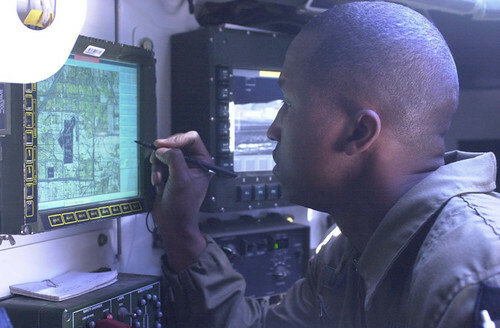 U.S. Air Force awards Integral Systems $14.2M contract modification for its commercial off-the-shelf satellite telemetry and command contract. ARINC deploys three new GLOBALink remote ground stations to support aviation data link communications services in New Zealand. Vizada offers shipping customers full range of Vizada Solutions with Iridium OpenPort service through direct interconnection with Iridium network. Miranda infrastructure, monitoring, and branding equipment installed by Magyar Televisio, Hungary’s state broadcaster, at its new state-of-the-art television headquarters in Obuda, on the outskirts of Budapest. Newtec shows DualFlow technology, allowing broadcasters to migrate cost-effectively from traditional ASI to IP-based satellite operation, for first time at IBC. Astrium and the European Space Agency plan development of Next Generation Launcher for upcoming satellite launches. Korea’s first geostationary satellite, the Communication, Ocean and Meteorological Satellite-1 (COMS-1) successfully reaches desired orbit. Space Systems Loral is awarded contract to build new spacecraft for HISPASAT group, the seventh largest satellite operator in the world and the leading operator in broadcasting and distribution of content in Spanish and Portuguese. U.S. Air Force plans surveillance satellites to take on dangerous space trash. Launch of Space-Based Space Surveillance spacecraft delayed pending resolution of test anomaly with another Minotaur IV launch vehicle in factory. NASA gives gamers taste of lunar adventure, releasing Moonbase Alpha, a new, free online video game. Bentley Walker, a major satellite operator headquartered in the UK, purchases two iDirect 5IF hubs to expand services via Eutelsat SkyLogic’s teleports in Turin and Cagliari, Italy. Globalstar announces opening of 90-day launch window for first group of six Globalstar 2G satellites in upgrade of its low-earth-orbit satellite constellation. International Launch Services schedules launch of EchoStar XV satellite for July 11 (July 10, 2:40 PM EST in U.S.). Two payloads for next Arian 5 mission, both built by Thales Alenia Space, one for Nilesat, and one for RascomStar-QAF, arrive at French Guiana. Following two-month delay, India’s Polar Satellite Launch Vehicle is ready for July 12th launch from spaceport at Sriharitkota in Andhra Pradesh. Orbital Sciences receives two separate orders from NASA to launch scientific satellites on its industry-leading small rockets, Pegasus XL and Taurus XL.